You gotta love appetizer and wine dates. Combine these perfect companions and the two of you will be combined soon enough. If one of you brings the wine and the other the appetizer, you’ll need to figure out who’s bringing the condoms. 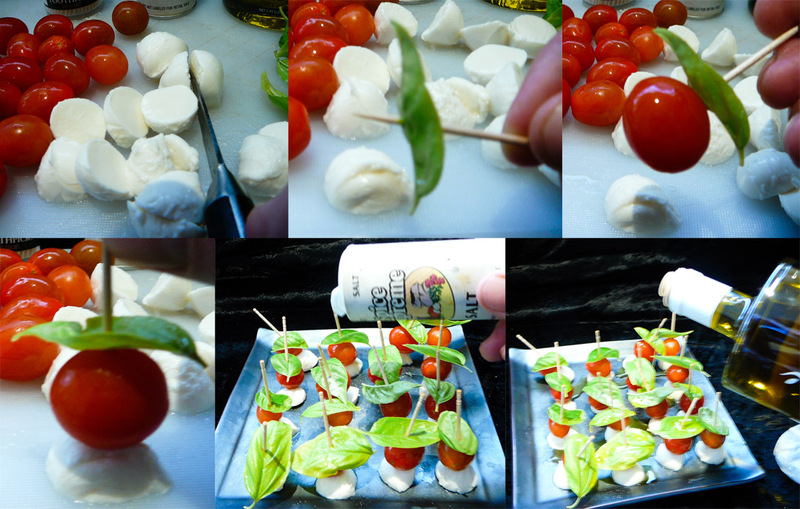 These miniature caprese salads on a stick are easy to make, easy to take on the go, plus you can hand feed each other. It doesn’t get more sensual and primitive than that. Who loves you? 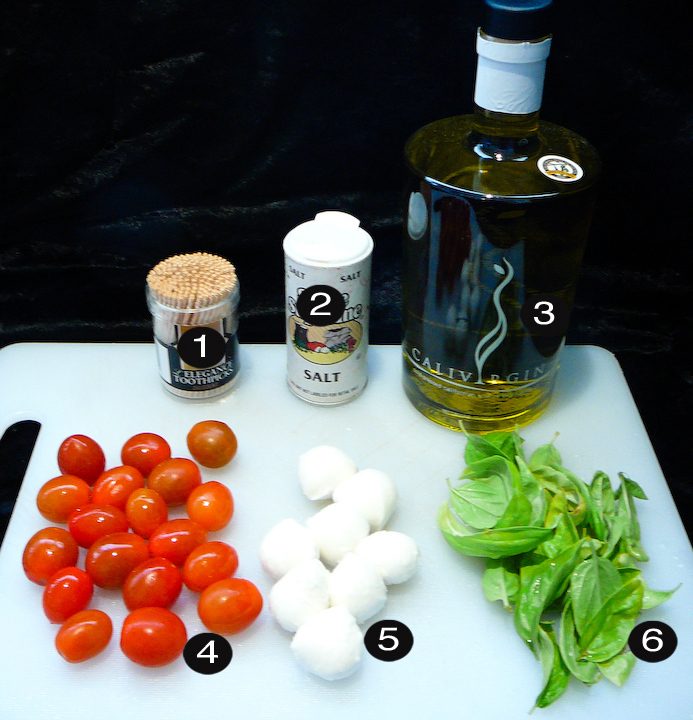 Slice the mozzarella balls in half and set the flat sides down. 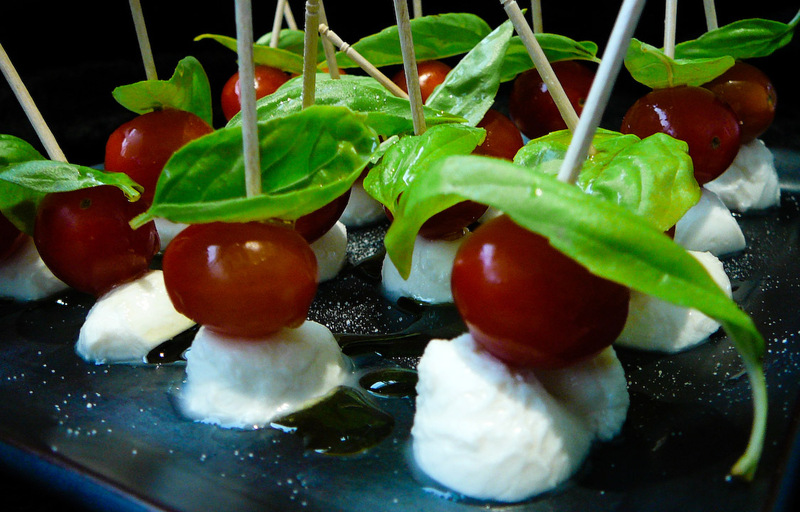 Drive each toothpicks through a basil leaf, cherry tomato and mozzarella slice. Sprinkle some salt and drizzle with olive oil. Serve up these classy hor d’oeuvres, you classy bastards!